Roof replacements can add up fast for homeowners and preparing your finances before a roof replacement is a smart decision. From sun and rain to birds and critters, a roof puts up with a lot of abuse and serves as one of the first lines of defense against the elements. With this wear and tear, you start to find your roof doesn’t keep water out like it used to, or it doesn’t hold heat during winter. Here we’ve shared a few tips listed by the leading roofing companies in San Antonio to get your roof replacement on a budget. Roof replacement must be left to the professionals as you can receive better pricing, and they have training for unusual roofing problems. They have a deep understanding of roofing safety and how to fix a problem. Some professional roofing companies also provide warranties on both the installation and the product, which provides you with additional peace of mind. One of the best ways to start your budget discussions is to get an accurate bid or quote. Roofs can be made from a wide range of materials, and these materials have their own short-term and long-term costs. For instance, asphalt shingles are cheaper and require frequent replacement whereas metal roofs are cost-effective and require less maintenance. Often, roofing material is sold in terms of square foot. A flat roof requires multiple layers of roofing materials. Hence, you should account for how many layers you will need in addition to the square footage. The replacement cost will also be affected if you require a disposal service. During roof replacement projects, often roofers find issues with areas of the home: gutters may need replacing or the plywood under the roof may need replacing. This adds extra expense to your roof replacement budget. Sometimes, delays pop up, or you find extra work needs to be done. Keep an extra 20% in additional expenses to maintain your replacement budget is in good shape. 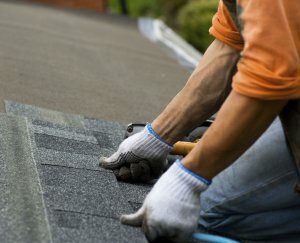 Most roofing companies offer financing for the roofing project. This becomes a better option for homeowners who are in need of a replacement roof but do not have sufficient cash to complete the project. Before signing the contract, all aspects of this financing agreement should be carefully read through and understood. Above all, find the right San Antonio roofing company with a blend of budget and professionalism who agrees to work within the budget you agree on and helps you stay on track. This ensures that your project runs seamlessly without breaking the bank.